Koh Mak Beaches center on Ao Kao Beach in the south west and Ao Suan Yai Beach in the north west. Both of these beaches are lovely long stretches of sand, with clear blue waters, where you can stay in everything from boutique resorts, to bungalow resorts, beach huts and even a small hotel. Ao Kao Beach, perhaps the best of the Koh Mak beaches, has a laid back strip of restaurants, the odd bar, dive shops and minimarts lining the quiet street running behind it. Ao Suan Yai Beach too has a couple of restaurants and sunset bars down by the sea. Whilst the beaches on the south coast, the east coast and the north coast do not boast the same quality as Ao Kao Beach and Ao Suan Yai Beach, they are still wonderfully peaceful and scenic spots, with their own very decent resorts. Given Koh Mak’s flat terrain, everyone should find it very easy to travel between the different areas by motorbike or even bicycle. Happy exploring! 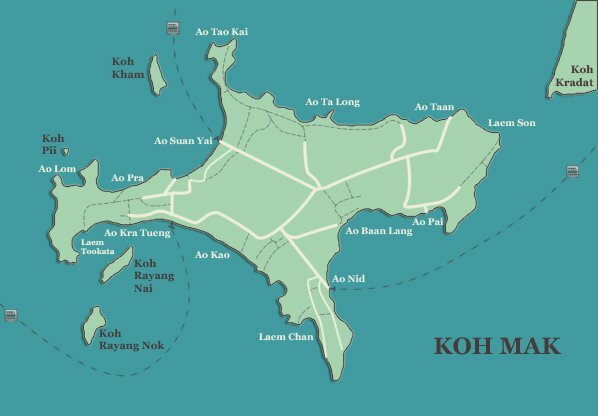 You can Contact Us with your questions about the Koh Mak. We are only too happy to help. Ao Kao Beach on the south west coast is the most popular of the Koh Mak beaches. Its wonderful long sweep of sand has plenty of accommodation, with its premier resort at Ao Kao Resort, smaller resorts at Baan Koh Mak, Skybeach Resort and Lazy Days, backpacker huts at Island Huts and even a small hotel at Makathanee Resort. Leelawadee Speedboats coming from the mainland at Laem Ngop uses the pier as does Kai Bae Huts Speedboat coming from Koh Chang and Koh Kood. A narrow road runs behind the beach with low key cafes and restaurants, such as Food Art Cafe, Kon Gin Sen, Table Tales and Clay Pot. There are also minimarts, a few ticket agencies, a couple of dive shops, some massage and even the odd bar at Monkey Island and Artist’s Bar. Koh Rayang Nok and Koh Rayang Nai lie offshore, while the remote Laem Tookata Beach, complete with its backpacker bungalows, sits in the far western corner. 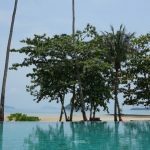 Ao Suan Yai is the fabulous sweeping beach on the north west coast, with two boutique resorts right on the sand at Seavana Resort and Koh Mak Resort and another boutique hotel on the hill above at Islanda Resort. There are just a couple of other bungalows or rooms at cheaper prices such as Happy Days and Thaidaho Vista. The pier is the arrival point for boats from Koh Chang and Koh Kood and Panan Speedboats from the mainland pier at Laem Ngop. 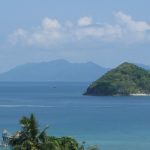 There are a couple of restaurants, cafes and bars in and around the pier and on the back hill to Ao Kao Beach. Heading north along the beach, you will find the oldest house on the island and in the far corner after tackling a few forest tracks, the deserted Turtle Beach. 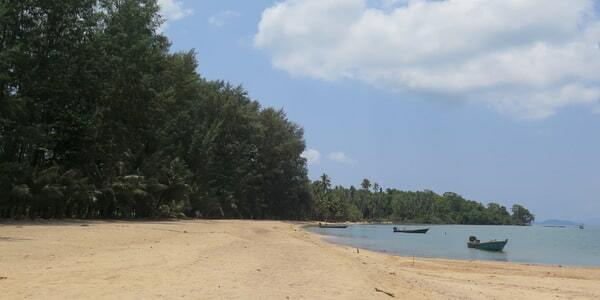 Ao Pra Beach, the latest of the Koh Mak beaches to develop, is now home to Mira Montra Resort. Cococape Resort sits on the headland between it and Ao Suan Yai Beach. Koh Kham sits offshore, easily reached by kayak. The south and east coast do not have the best of the Koh Mak beaches but they still offer a unique away ‘from it all’ atmosphere. Ao Nid serves as the administrative centre and its long concrete pier is used by Boonsiri Catamaran, Suansuk Speedboat and Seatales Speedboat. There are a few good and cheap local restaurants here and there, as well as the island favourite Koh Mak Seafood. Ao Pong Resort provides the bungalows in Ao Nid, while over on the south coast at Laem Chan, accommodation is more traveller orientated at Banana Sunset and Pano Resort. Heading up the east coast, there is a selection of very decent resorts, such as Bamboo Hideaway and Sea Breeze at Ao Baan Lang, Plubpla Resort in Ao Pai and Little Moon Resort in Ao Khanoun. Koh Kradat lies offshore from the untouched Laem Son Beach in the far north east corner. Remote and somehow beautiful, the north coast of Koh Mak has rugged and wild beaches at Ao Taan and Ao Ta Long. Ao Taan has just two places to stay at the bungalows of Green View Resort or the esoteric resort at Cinnamon Art Resort, complete with its fabulously long pier . West from Ao Taan along the north coast at Ao Ta Long, there is a unique original community down by the sea, a fascinating glimpse of local life. Beyond this, you will find plenty of trails and paths criss-crossing the forest, which bring you out at the secret untouched Turtle Beach (Ao Tao Kai) or ultimately at the far end of Ao Suan Yai Beach – all great for exploring on foot or even bicycle.